The Victoria-Haliburton Amateur Radio Association serves the amateur radio needs of it's members and the City of Kawartha Lakes as well as Haliburton County. The Association is open to all Amateur Radio operators and SWL's interested in promoting the Ham Radio hobby. 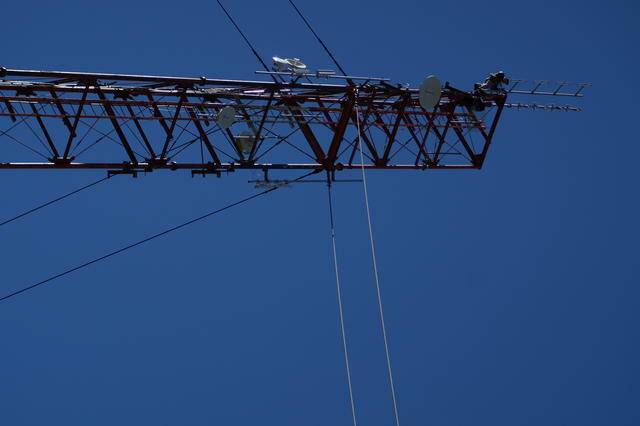 The Association owns and operates three 2 meter FM voice repeaters, VE3LNZ and VE3LNZ Fusion (located in Grasshill) and VA3MIN (located in Eagle Lake). In addition we offer a Packet Radio Node (VE3LNZ), APRS Station (VE3LNZ-3) and an IRLP Node. General meetings are held once a month on the last Tuesday of the month (excluding July and August) at the City of Kawartha Lakes Police Department Building, Community Services Room, in Lindsay. Meetings start at 7:30 PM. Guests are always welcome so drop by for one of our meetings and see what we're all about! Social events are held throughout the year including Field Day, Fox Hunts and picnics. In the past, some of our community service events have included Talk To Santa By Ham Radio Day (in the Lindsay Square Mall), participation in the Lindsay Santa Clause parade, JOTA (Boy Scouts Jamboree On The Air) and school presentations to all ages on the hobby of Amateur Radio. Note! Please use the official web page address, vhara.ca , to type in the address bar of your web browser, to bring up the correct vhara web page. Do not depend on using a bookmark/favourite from your browser, to get to the correct web page. We host our own club web page and because of outages at the physical site, the vhara web page has to be served from an alternate site, until the outage at the main physical site has been restored. Police Department Building, Community Services Room, in Lindsay, 6 Victoria Ave., K9V 4E5, pre meeting dinner location was not decided. 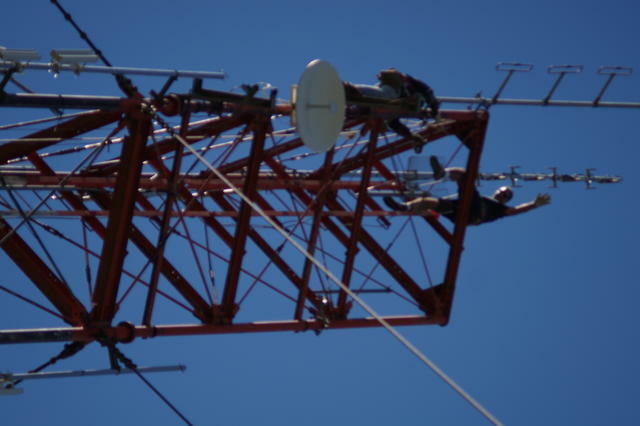 Check on the Thursday evening Net, on VE3LNZ or call out on VE3LNZ repeater the afternoon of the meeting, to see if anyone else wants to meet up for dinner. Dinner start time is usually 5:45 pm! PGN will be the foxes on 147.58 simplex and are thinking of enlarged area to hunt as the traffic in Lindsay is getting heavier. More details to follow at the meeting. VHARA Swap Meet 2019 - Planning is under way! Year 2018 Door Prize Draws - free draws, with admission, see photos below. Thank you very much to the following businesses for donating a prize to the VHARA Club Swap Meet Draws. The Swap Meet helps raise funds for the VHARA Club, to help pay our insurance costs, etc. VHARA ARRL Field Day Contest, Saturday June 23-24, 2018 - A very successful Field day was achieved, Lots of radio contacts were made and the BBQ and social time was well attended with 21 people attending this years event. �Special thanks to those involved in arranging the Christmas gatherings this year� Pat for Lindsay, plus Marlene and Lillian for Minden. Very enjoyable times to celebrate the season. Good times were had by all. 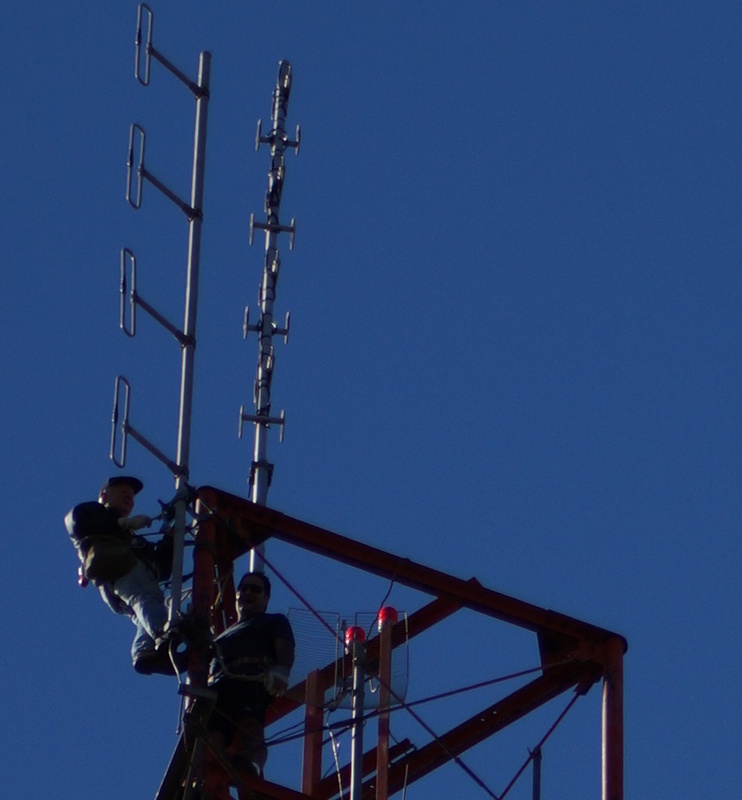 Remote HF Vertical Antenna - A new remote hf vertical antennae has been installed at the Grasshill repeater site. Thank you to Doug VE3ATP and Vic VE3JAR for providing the antenna and doing the install!!! © 2019. Victoria-Haliburton Amateur Radio Association. All Rights Reserved.